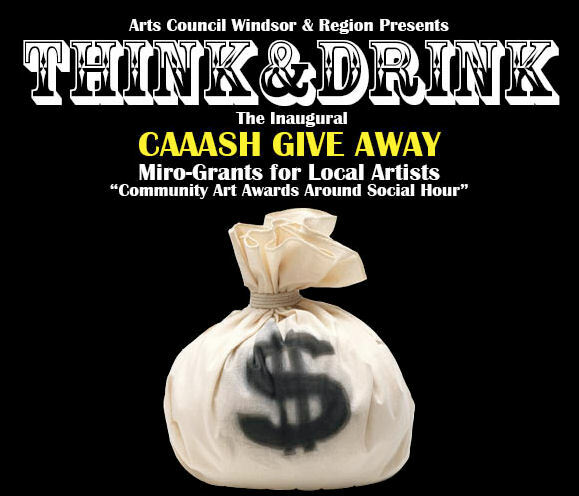 This Wednesday at Phog Lounge, the Arts Council Windsor Region will be hosting its first CAAASH Give Away event, with a Micro-Grant of $500 to be awarded. This micro-grant for local artists is the accumulation of Think&Drink donations. The first 15 people to register will have the opportunity to present their project idea to the Jury Panel, who will create a Short List of five Finalists. Those Final five will present their project idea to the attending public who have final call. Bring your best pitch and project images if you have any. A presentation board, pens and projector if you need it. To register follow this link.